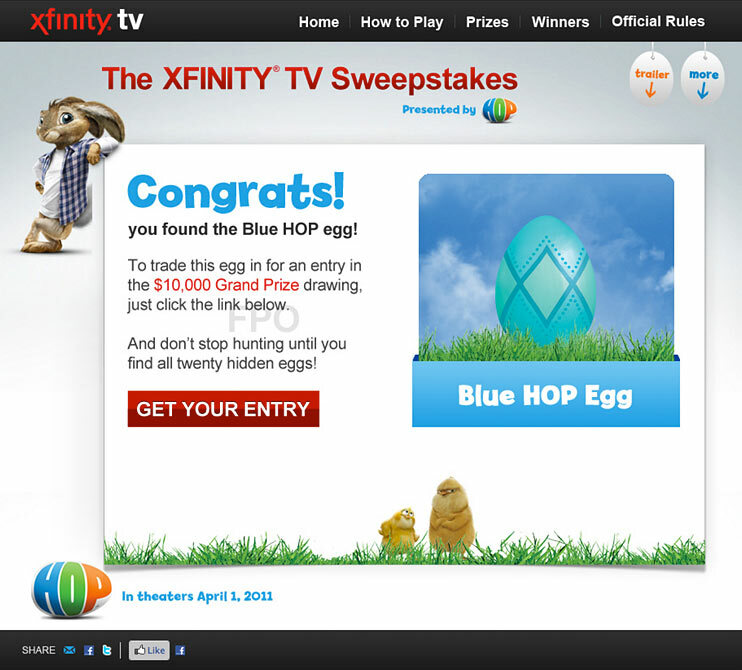 The XFINITY Hop Sweepstakes was a microsite experience and “egg hunt” to promote the Hop movie and Comcast XFINITY digital services. Entrants searched Comcast websites to find Hop eggs and fill their basket for more chances to win. Pomp Productions was contracted by Team Digital to provide concepts, creative direction, copywriting and animation as well as all front-end and backend development.